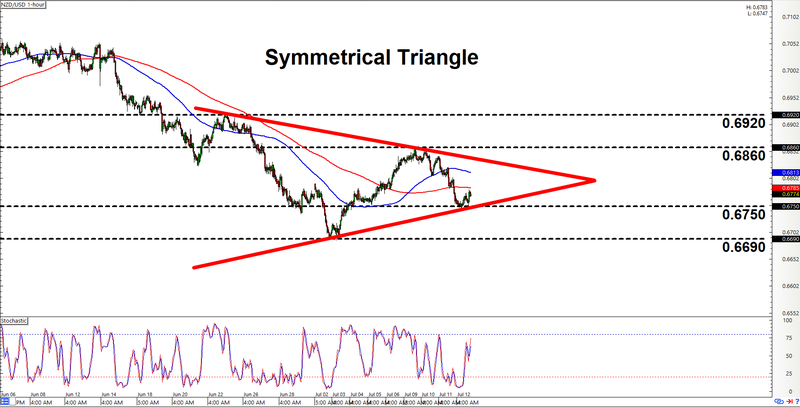 I’m mixing it up a bit in today’s intraday charts update, with a triangle on NZD/USD and a Fibonacci retracement setup on NZD/CAD. 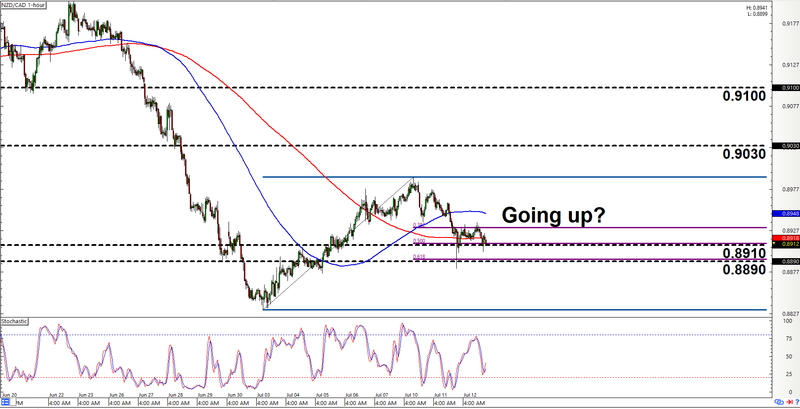 NZD/USD appears to be consolidating. And if we connect the most recent peaks and troughs, we can see that the pair appears to be forming a symmetrical triangle. A symmetrical triangle means that bulls and bears are playing tug-o-war, but neither side has a clear advantage (for now). As such, a symmetrical triangle may break either to the upside or the downside. And that means that it would be prudent for y’all to prepare for both scenarios. Anyhow, a move higher past 0.6860 would be an early sign that bulls are winning out, but the pair would still need to clear 0.6920 in order to validate the topside breakout. A downside move past 0.6750, meanwhile, would be a signal that bears are trying to push the pair lower for a breakout. The pair would still need to smash lower past 0.6690 in order to confirm the breakout, though. No fancy forex chart patterns here! What we have here is a retracement setup. As y’all can see, the pair has been in a downtrend recently. However, bulls are apparently winning and the trend appears to be changing. The pair did slide during the past couple of days, but we’re mainly bullish on the pair, given that them moving averages are already in uptrend mode. And if we use our handy Fibonacci tool, we can see that the bulls appear to have entrenched themselves at the 50% and 61.8% retracement levels, which happen to line up with the areas of interest at 0.8910 and 0.8890 respectively. In addition, the 200 SMA appears to be acting as dynamic support. And did I mention that stochastic is about to enter oversold territory? Anyhow, if support does form and the if the pair later moves higher, then bulls will likely gunning for 0.9030 next. And the pair clears that, then bulls will likely be shooting for the 0.9100 major psychological level after that. At any rate, just remember that there’s always a chance that the setup may fail. Y’all should therefore always practice proper risk management, a’ight?